We want to talk to you today about irrigation system maintenance. Now, you've spent a lot of money putting your irrigation system in. But, it's not a just installing and forget some type of situation. 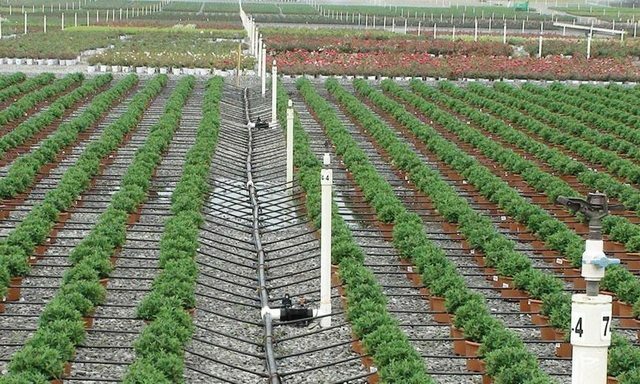 There are things that you have to do to make sure that it is operating at peak efficiency that you are not wasting water. 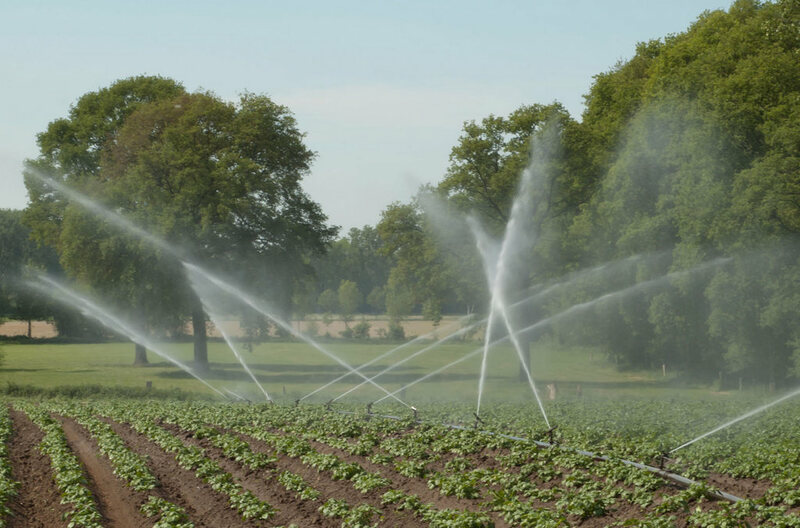 We offer how to maintenance types of irrigation systems, including sprinkler, flood, and drip irrigation. Here we explain. When you are using that sprinkler system. The first thing that you need to do, of course, in this spring is the startup procedure. And, you have to run through your whole system to make sure that none of the heads broke, that everything is still functioning, that all the zones are working. And also, you need to make sure that you're getting a good overlap on all of your sprinkler heads. And you don't have areas that are being either blocked by a large tree, and that the zones are overlapping so that you get a consistent color across your lawn. During the summer time, you should do a system up-keep or system maintenance so that you can make sure that everything is still working well -that none of the heads are blocked or clogged by debris. that none of the heads were damaged and that's still functioning properly. The whole idea of doing that is to making sure that you are watering smart - that you are not over-using water, or that you're getting a consistent coverage across your entire turf area. Then, the system all shots down in the winter time. We normally go through a process called a blow up where we hook up an air compressor to the sprinkler system and you blow out all the excess water out of the system so that you don't have any water in the system during the winter time in case you have a freeze. Now, of course down south, it's not as critical but up here, in the north, it is very important to blow out your system every year. So, you need to follow through on that maintenance of your system to make sure that it is always operating properly and efficiently. We use flood irrigation system with high ditches and tubes, and we went to underground piping and gated pipe we probably saving about 50% of our water. I guess my philosophy is just keep the water moving off of one field, somewhere else. Use every amount of water we can. I like to wait until the temperature in the soil is around 50 degrees. But, I'll usually start it just soon as I get water in the ditch. I measure all the water coming from the main head gates. Either with parshall flumes or v-notch weirs. I also keep track the water going out of the system. In the spring of the year, I go through I clean all alfalfa valves. And, actually that part of it is not bad. The other thing I do is mark the fields. 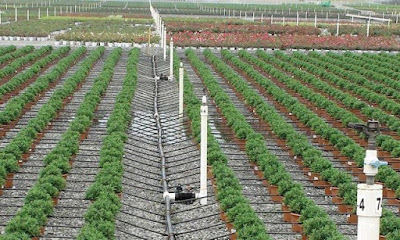 And, I'll usually try to pull all the pipes apart between each watering. But, as far as the system now- the spring thing is, maintenance is zero. Replace a few gates. Maybe a few gaskets. Usually flush pipes after every irrigation. Try to keep up with that alfalfa valves. And make sure they're in good shape. Replace a few gates. But, usually, gate replacement, you're running a full head of water and you get pretty wet. Because, you're not going to shut the system down. Once you get a full pipe, you just want to keep it full. And that's about it. Make sure you're spreading your water. While in the fall, I'm building a profile. That's my key thing and as soon as I get across it now, I’ll start pulling the end caps, flushing pipes, cleaning things up. I'm doing a lot of mowing now. And then, I'll have a lot of the pipes that will all be pulled apart, and ready for spring. And then in the spring – after marking- then all I'll put them together and get water running. To manage irrigation when we get ready to harvest is complicated, because the dairy that I saw hay to has hundreds of acres all over this valley. And, you've got to have your hay ready when they're ready to come in. And, they don't fool around. they'll come in with three 18-foot head swathers. They come in one-ton bailers. They come in with semi trucks. And, within 5 days you're back with water on your fields .so, that's what I have to prepare for. And, I've got to make sure my pipes are drained at that point in time, so there isn't any leakage on the fields. Because the equipment is heavy and you just can't fool around, dumping one of those big bailers over or something, in a swamp. There's just a few things to do to maintain the drip irrigation system before we get ready for a brand new season. The first thing we need to do is flush out the system. To flush out the lines, just open the ends and make sure you get rid of all the debris and dirt. Next, you should flush out your filter. Open the filter and clean out the screen. Cleaning the screen is not necessary if you have a self cleaning filter. 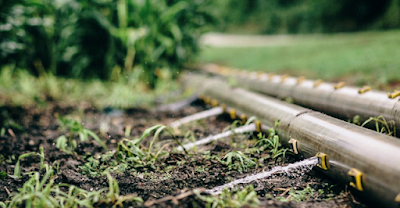 Turn on your irrigation system one section at a time, and check for clogged emitters, or kinked tubing, or anything that may prevent your plants from getting watered. Repair or replace any fittings or emitters that have popped loose. If any of your fittings have popped off, check your pressure with a pressure gauge to make sure that your pressure regulator is doing its job! If you find any emitters that are clogged with hard water deposits, you can dissolve them in some white vinegar. Try the emitter again after soaking, if it is still clogged, it's time to replace it. Now is a great time to check your trees. You may need to add some emitters to accommodate for the growth of the tree. Remove emitters from any drought tolerant, or native shrubs or trees that are well-established enough not to need any supplemental water. Keep your drip in tip-top shape! 0 Response to "Irrigation System Maintenance"